To mark the occasion of The Jenuine Article turning one, I would like to introduce a new monthly feature. At the end of each month I will be summarising my beauty favourites- items I have discovered and loved, sharing with you all exactly what I love about them. So, without any further fuss, let me hop straight to it and share with you this months treasures. 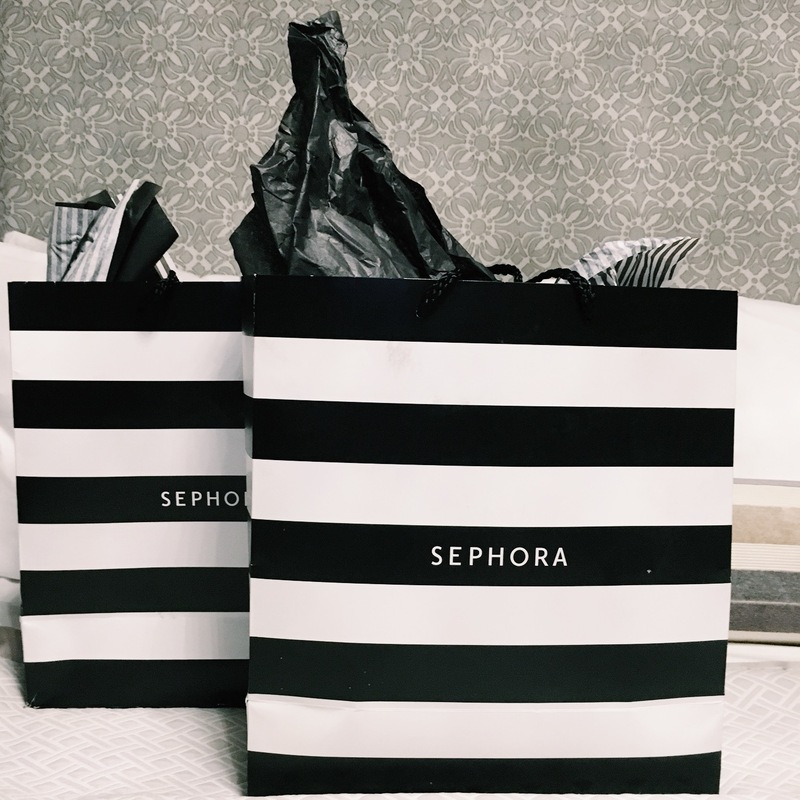 Do you think this feature will justify weekly Sephora trips? I received this foundation as a free sample in a magazine, I almost didn’t try it, I am so glad I did. The bottle promises a “healthy glow” and “hydrated and luminous skin”. It delivers this and more, the application is so easy. It applies like a CC cream- blending impeccably and with a light/comfortable feel, all the while delivering full coverage and a natural matte finish. Healthy Mix Foundation also claims to last for up to 16 hours- I can’t vouch for this because….well, because I like a wash of an evening. However, I can say with certainty that it looks great 8 hours after pushing approximately 40 Kgs of twin/buggy weight up a ridiculously steep hill. The “fruit therapy formula” (apricot, melon and apple extracts to you and I) help care for your skin and smell so good that you could be forgiven for wanting to drizzle the stuff on some crepes and be done with it. I fell in love with the sample, I bought the full-sized version 2 days later. Okay, so firstly “truth serum”, how awesome is that for a name? This is an anti-aging multi-vitamin for your face. The product claims that it “Brightens, firms, fights visible signs of aging and delivers all-day hydration”. It is far to early for me to say it delivers on all of these (I’ve only been using it for two weeks), but initial results are encouraging. Ultimately, I enjoy how this makes my skin feel. Its an incredibly indulgent serum and applying it feels like an everyday luxury. Since including this serum in my routine, my skin has been very well hydrated and excess sebum has reduced. The formula is oil-free and has an uplifting and invigorating citrus aroma. Moving onto the “Sheer Transformation Perfecting Moisturizer”…it may have a fussy name, but its action is simple. Gorgeous, weightless hydration. This product works in perfect harmony with the serum. I apply at night in circular motions and follow with a facial massage using a roller/massager. During the day, this multi-tasker can also be used in place of a primer. The most beautiful champagne coloured cream highlighter. This shade is super flattering for all complexions. I have used this everyday since purchase. I have used it as intended dabbed over facial high points to create a sculpted look, all over under foundation to create a “from within” glow and even as an eyeshadow primer to add shimmer to matte eye colours. The cushion applicator is simple to use (though not very precise). Unlike other illuminating creams I have used in the past. this one has not resulted in breakouts! Wahoo! Transluscent, lightweight, magnifying and long lasting. Yes, its all that! Can I get an Amen? I kid you not, this powder is Holy Grail kinda good. I recently watched a video with Drew Barrymoore for Vogue Beauty. In it she talks about how when you withdraw the mascara wand from the bottle, half the product is removed and she discusses how that frustrates her. With this amazing mascara there is no such issue, you get all the mascara you could handle on one application. Volume and curl delivered with a serious side-helping of lengthening. An inevitable repurchase for me! This is an exfoliant with a difference, not a micro-bead or scrub in sight. This products is applied as a gel and upon gentle buffing its transformed into a peel. You can literally see it working as the dirt and dead cells are lifted away. The result brighter skin, fewer blemishes and more even skin tone. The only problem, its really addictive. So much so that if you should purchase this product you will struggle to stick to the maximum 2-3 times a week as recommended and you may find yourself resorting to using it on family members and other cohabiters just to get a fix of seeing the “ugly beauty” of this product in action. Consider yourselves warned. What has been your favourite beauty purchase recently? Any recommendations for my August shopping list? Next Post Layering 101- Practical tips on how to ace dressing with layers. Really wanna try the healthy mix foundation! It’s so good. I loved it from the first use. Will have to give it a go when mine runs out!